This is the third in Dr. Rosenthal’s three-part series on “Cities and Our Future: Governance in the Anthropocene.” Here are links to the first, and second posts. She will present her ideas at a panel discussion on the OU campus on March 6, 2018; here is the poster for the event. In the late 19th century, a movement for municipal reform gained prominence across the nation, led by the emergence of local good government bureaus and the 1894 launch of the National Municipal League. The reformers focused on various aspects of governance, including insulating cities from rural-dominated state legislatures by advocating home-rule legislation; curbing corruption and patronage in machine politics; and professionalizing and centralizing administration of cities through the council-manager form of government. This movement was led by “bureau men” who advocated running cities like business corporations (Stivers 2000). But predating these reforms was another social effort. It grew out of the General Federation of Women’s Clubs (Skocpal 1992) and the settlement house movement (Stivers 1992), and launched what we can now recognize as a nascent environmental justice campaign to address the squalid conditions of city life. 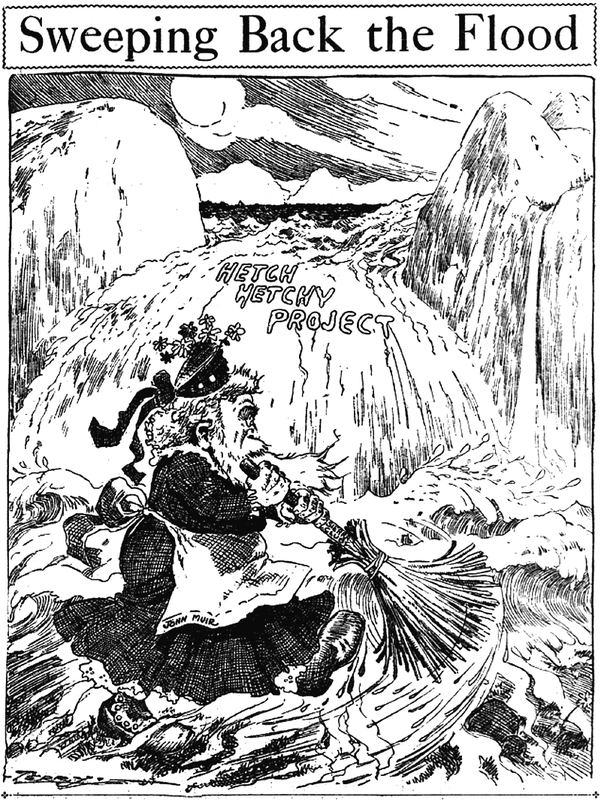 Largely, but not exclusively led by white middle-class women, these women’s clubs sprung up across the country and, like the Pittsburgh-based Ladies Health Protective Association, focused attention on “three universal and inescapable nuisances” – garbage, polluted water, and especially industrial smoke (Gugliotta 2000). In this post, I describe the endeavors which became known as “municipal housekeeping” and focus on both their successes and limitations. I close with an argument for reviving the ethic of municipal housekeeping for the Anthropocene. Contemporary environmentalism, typically dated to Earth Day 1970, often underappreciates its roots in the municipal housekeeping movement of nearly a century earlier (Unger 2012). Underlying the original movement was the struggle to find a space for women in politics even while their roles were legally, socially, and culturally limited. The ideology of republican womanhood first emerged in the 19th century and espoused an ideal of women as nurturers of the moral fiber of sons and husbands. Women were to exercise this role in the separate, private sphere of the home, thus preparing men to enter the public sphere of politics. Our work is founded on the belief that woman has a special function in developing the welfare of humanity which man cannot perform. The function consists in her power to make, of any place in which she may happen to live, a home for all those who come there. Women must now learn to make of their cities great community homes for all the people. (Quoted in Skocpal 1992, 332). Club women took on studies of public sanitation systems, advocated for municipal garbage disposal of household waste, launched anti-smoke campaigns aimed at industrial sources, proposed inspection of food producers, lobbied for child labor laws, and campaigned for safe water and cleanup of waterways (Gustafson 2011, Mann 2011). Many clubs had departments specifically devoted to forestry and public health. 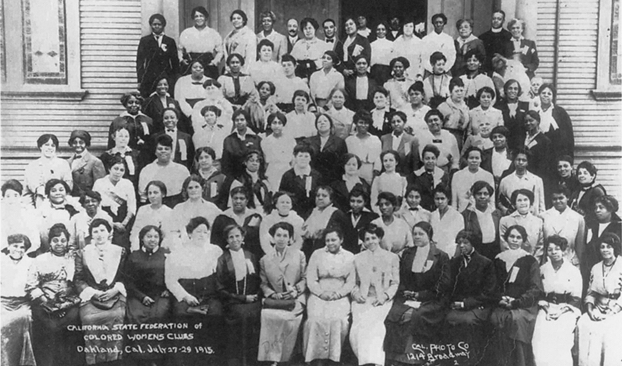 Though excluded from white women’s clubs and lacking some of the financial resources, black women’s clubs also engaged in municipal housekeeping with campaigns to clean up neighborhoods and prevent diseases caused by unsafe air and water (Mann 2011). Settlement houses became the places where housekeeping ideals were passed on to immigrant and African-American women through cultural and educational programs. They were also where social experiments could be tested, as for example at Jane Addams’ Hull House, which established the first public playground in the U.S., instituted the first juvenile court and probation system, pioneered health and sanitation inspections, and offered its own employment bureau and lobbied the state of Illinois to run publicly-funded employment programs (Stivers 2002, 57). The successes of municipal housekeeping were numerous but there were limitations. Women activists were attacked for not focusing on their own households. But perhaps most prominently, these efforts often were denigrated as “sentimental,” not grounded in “science,” and marginalized as “unprofessional” and “unmanly.” Political cartoons were used to disparage women’s activism. What better way to make Muir appear both impotent and feminine (that is, silly and sentimental) than to clothe him in a dress, apron, and flowered bonnet, fussily and fruitlessly trying to hold back the flood of progress? (98). As a result of these gendered manifestations of early environmentalism, women sometimes experienced pushback and exclusion. The first woman mayor of a major city – Bertha Knight Landes of Seattle (elected in 1926) – was widely recognized as a municipal housekeeper and won the support of major Seattle newspapers, labor unions, veterans and the Seattle Municipal League. Nonetheless she served only one term after her challenger in 1928 campaigned that Seattle was losing its reputation “as a he-man city” (Lewis 2011). Several women helped organize the first National Conference on City Planning in 1909, as an outgrowth of the City Beautiful movement and its campaigns for city parks, garbage removal, and street cleaning. Male members of the emerging planning profession, however, later sought to exclude women from conferences and substituted a new rhetoric – “the City Practical” – and eschewed any traces of women’s influence in favor of a more scientific and masculine profile. Significantly, this period saw two distinctly gendered, yet similar academic disciplines emerge – the female-dominated social work profession of the settlement houses and the male-dominated field of scientific public administration. Legacies of gendered public opinion on environmental issues exist today. Surveys have shown women to be more concerned about environmental protection (Zelezny et al. 2000), and evidence suggests that gender stereotypes may motivate men to avoid green behaviors in order to preserve self-images of masculinity (Brough et al. 2016). Despite widespread reporting of women’s underrepresentation in STEM fields, scholars also have found women to be more concerned and knowledgeable about the science behind climate variability than men. That may be changing as Pew research reports adults younger than 30 are more likely than older adults to say protecting the environment should be a top priority. A revival of the values and motivations of municipal housekeeping can provide some of the essential elements if cities are to lead in governing the Anthropocene. What would a 21st century civic housekeeping movement look like? Four commitments are central. First, like its earlier version, a renewal of municipal housekeeping should remind us that what happens in the public domain is essential to quality of private life. No one is unaffected by the changing environmental conditions in the Anthropocene, and municipal housekeeping encourages people to extend their commitment to environment concerns beyond their individual four walls into the larger community. Second, the history of municipal housekeeping comes with a strong commitment to social equity. 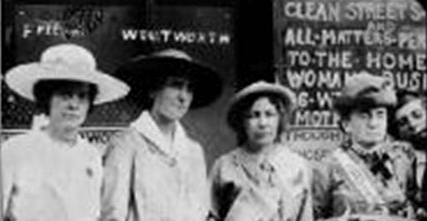 The original municipal housekeeping manifested the goal of environmental justice, and women were able to translate their actions into awareness about the environmental effects on rich and poor. The anti-smoke campaigns of the 19th century had their largest impacts on the poor living in close proximity to belching industrial plants, but activists were able to communicate the public benefits in a way that resonated across communities. Some urbanists worry that the three E’s of sustainability – the environment, the economy, and social equity –are being implemented by planners in ways that actually favor just one E: the economy. Their concern is that the so-called triple bottom-line has been misused in instances to justify unsustainable economic development without the environmental benefits. Municipal housekeeping, despite its clear racialized history, keeps social equity a central focus. Third, municipal housekeeping comes with a strong commitment to inter-generational equity. Where the women’s clubs of the 19th and early 20th century framed their concerns in terms of the children, so too the most powerful arguments about environmental policy we hear now are ones that speak to the quality of life we will make available to our children and grandchildren (Marvier and Wong 2012). In the real world, people don’t view themselves simply as property owners or as consumers, but as neighbors, friends, parishioners, and citizens. These self-understandings influence how we think and act about the places where we live, work and play. Only a fool would ignore the effect of environmental decisions upon the value of his own property, but that by no means exhausts the concerns that a person would want to bring to the environmental policymaking table. Broad-based participation would stand in contrast with the two typical constituencies that local elected officials most often hear at council meetings. On the one hand, the “growth machine” often seeks approval for economic maximizing proposals which sometimes attempt to skirt environmental impacts and shift externalities of development to inattentive citizens (Logan and Molotch 1986). On the other hand, NIMBY (not in my backyard) activists can successfully thwart reasonable development and policies that maximize public goods dependent upon higher urban densities which will be inevitable in the Anthropocene. Modern municipal housekeepers, like their historical ancestors, are likely to be drawn from a broad spectrum of a community which could provide policymakers with a middle path. Whether or not a new municipal housekeeping movement can overcome stereotypic gendered political dimensions or the geographic separation between rich and poor evident in many urban communities remains to be seen. But the full panoply of challenges in the Anthropocene – from environmental quality to environmental justice – requires nothing less. Brough, Aaron R., James E. B. Wilkie, Jingjing Ma, Mathew S. Isaac, and David Gal. 2016. “Is Eco-Friendly Unmanly? The Green-Feminine Stereotype and Its Effect on Sustainable Consumption,” Journal of Consumer Research, 43 (4): 567–582. Gugliotta, Angela. 2000.”Class, Gender, and Coal Smoke: Gender Ideology and Environmental Injustice in Pittsburgh, 1868-1914,” Environmental History, 5(2): 165-193. Gustafson, Melanie. 2011. 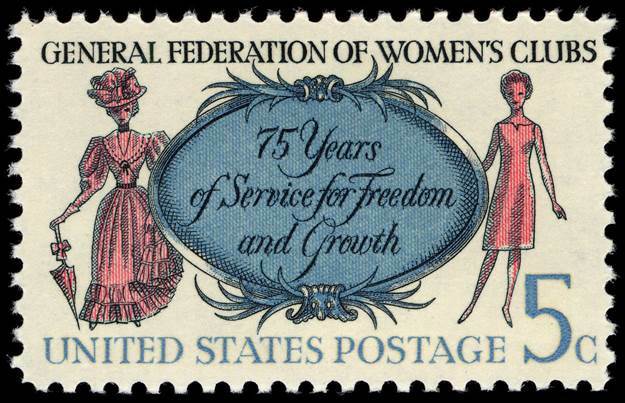 “’Good City Government is Good House-keeping’: Women and Municipal Reform,” Pennsylvania Legacies. 11(2): 12-17. Landy, Marc and Charles Rubin. 2001. “Civic Environmentalism: A New Approach to Policy.” Washington D.C.: George C. Marshall Institute. Lewis, Tiffany. 2011. “Municipal Housekeeping in the American West: Bertha Knight Landes’s Entrance into Politics,” Rhetoric and Public Affairs, 14(3): 465-491. Logan, John R. and Harvey L. Molotch. 1987. Urban Fortune: The Political Economy of Place. Berkeley: University of California Press. Mann, Susan A. 2011. “Pioneers of U.S. Ecofeminism and Environmental Justice,” Feminist Formations, 23 (2): 1-25. Skocpal, Theda. 1992. Protecting Soldiers and Mothers: The Political Origins of Social Policy in the United States. Cambridge: Harvard University Press. Stivers, Camilla. 2000. Bureau Men, Settlement House Women: Constructing Public Administration in the Progressive Era. L:awrence KS: University Press of Kansas. Unger, Nancy C. 2012. Beyond Nature’s Housekeepers: American Women in Environmental History. New York: Oxford University Press. Wolotch, Nancy. 1984. Women and the American Experience. New York: McGraw-Hill. Zelezny, Lynnette C., Poh-Pheng Chua, and Christina Aldrich. 2000. “New Ways of Thinking about Environmentalism: Elaborating on Gender Differences in Environmentalism,” Journal of Social Issues, 56 (3): 443–457. This entry was posted in Cities and Our Future, Reflections, Urban Anthropocene and tagged cities, ethics, gender, justice, women. Bookmark the permalink.